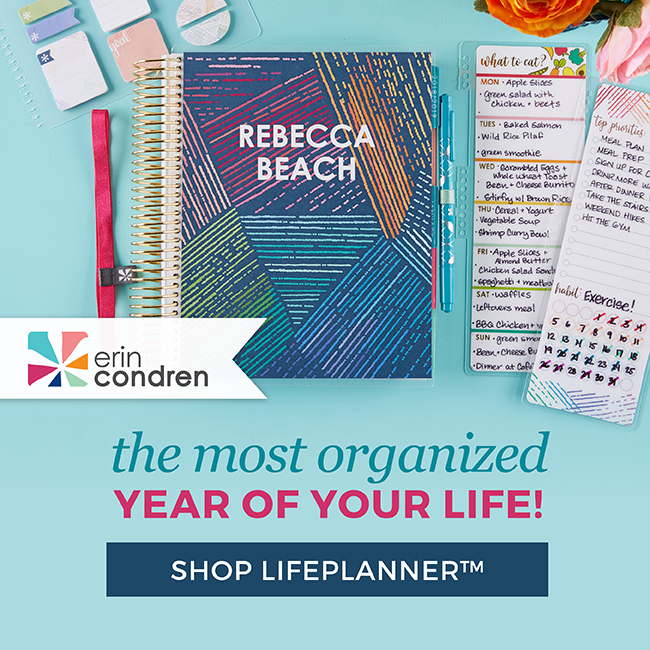 It’s no secret that I’m a huge fan of Erin Condren Life Planners, and I’m currently on my third one. 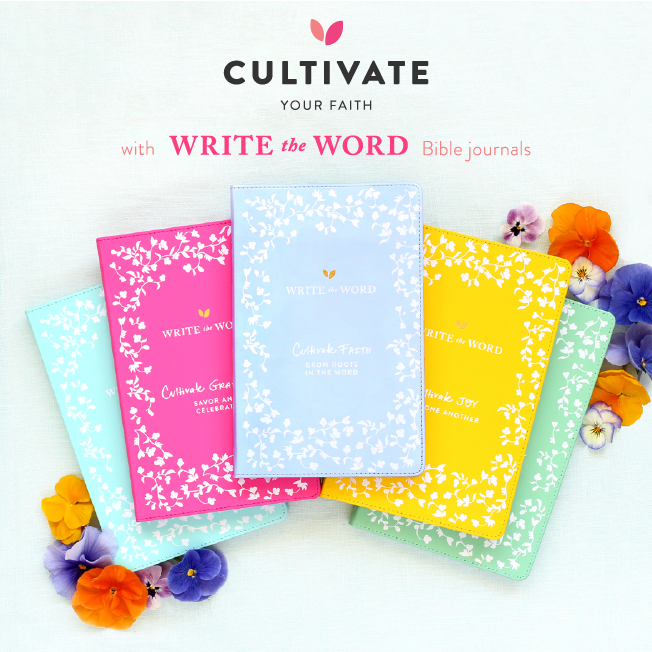 But I recently discovered something new from the fabulous Erin Condren and I can’t wait to share it with you! 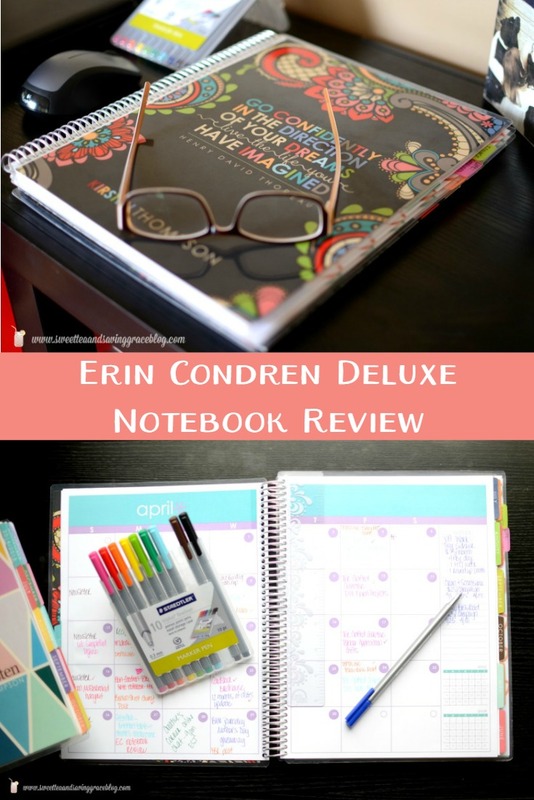 Today, I’m giving you a tour of my brand new Erin Condren Deluxe Notebook in all it’s organized glory! *This post contains affiliate links. 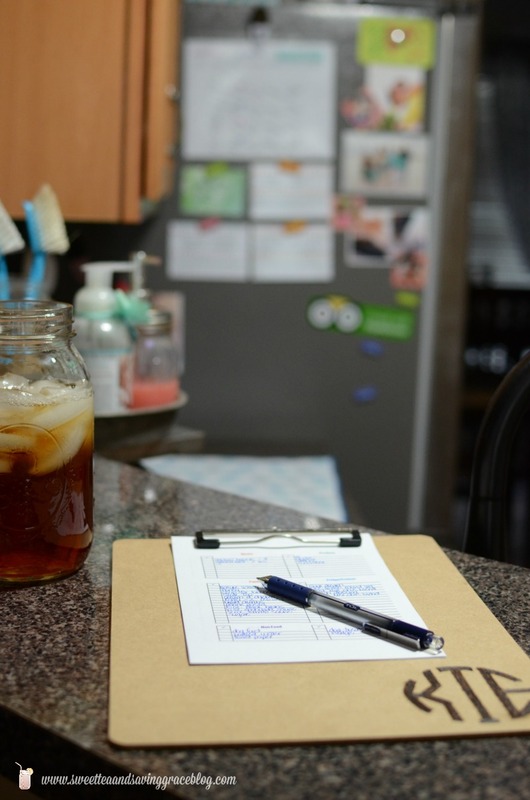 Your purchase helps support Sweet Tea & Saving Grace but does not increase the price of your purchase. Thank you! 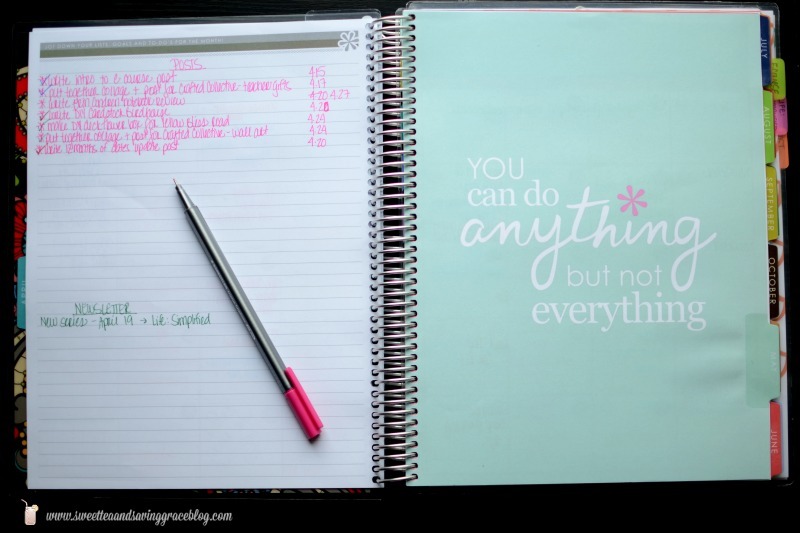 Back in the fall, I shared with you how I organize my brain, and I mentioned that I use a full-size notebook divided into categories to wrangle all of my notes and to-do lists and such. 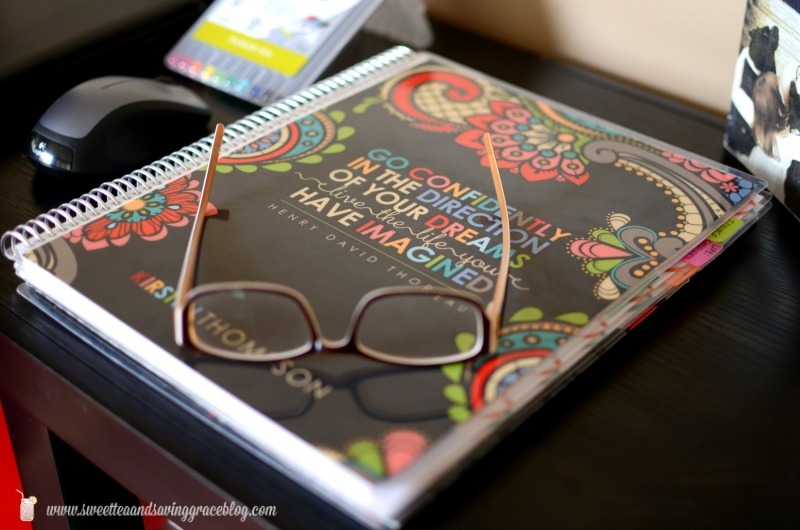 When I heard Erin Condren announce a brand new full-size notebook, I was intrigued. 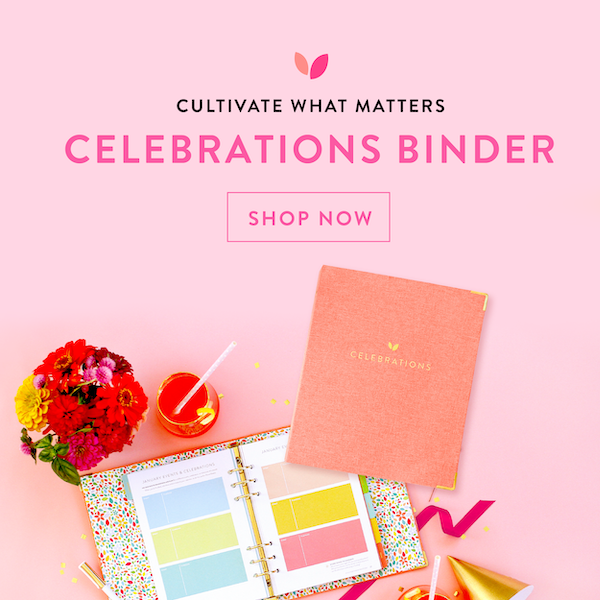 Could it be that my favorite planner designer created a notebook that is versatile enough for my needs, and big enough for all of my notes, and still pretty? The answer is a resounding YES!! 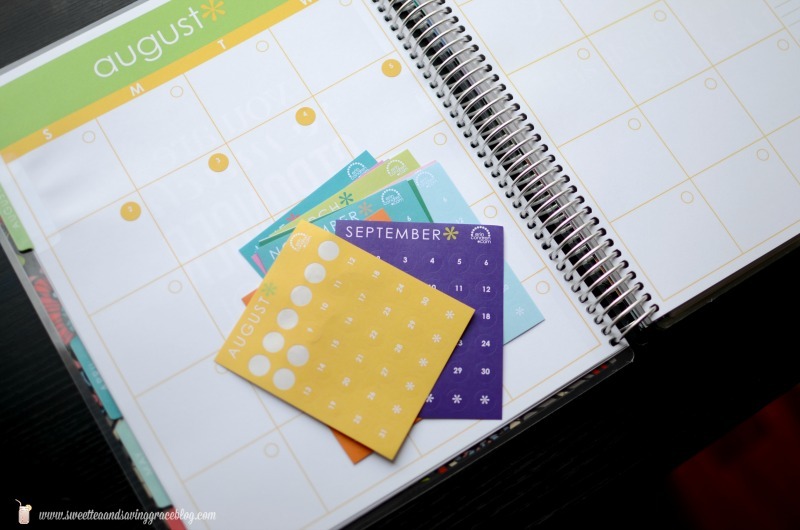 Just like the Life Planners I love so much, the Erin Condren Deluxe Notebooks allow you to customize your laminate cover, and create multiple covers that can be switched out whenever you like. What I love about this notebook, though, is that you can choose your size! 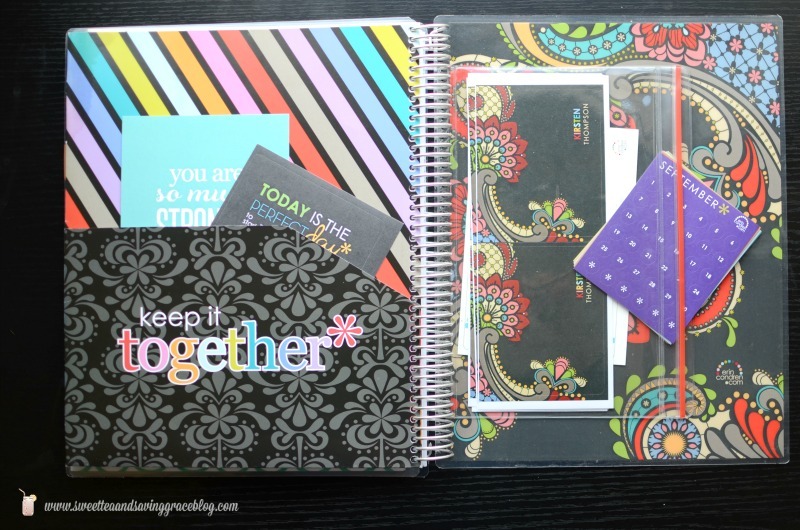 My Life Planner is 7″x9″, and you can get a Deluxe Notebook that size as well. For mine, I chose to upgrade to the 8.5″x11″ version. It’s so beautiful!!! One of the options is a 12-month calendar, which you can choose to begin in any month. I love having a monthly calendar in my notebook, as I’m using my Deluxe Notebook mostly for blog planning. 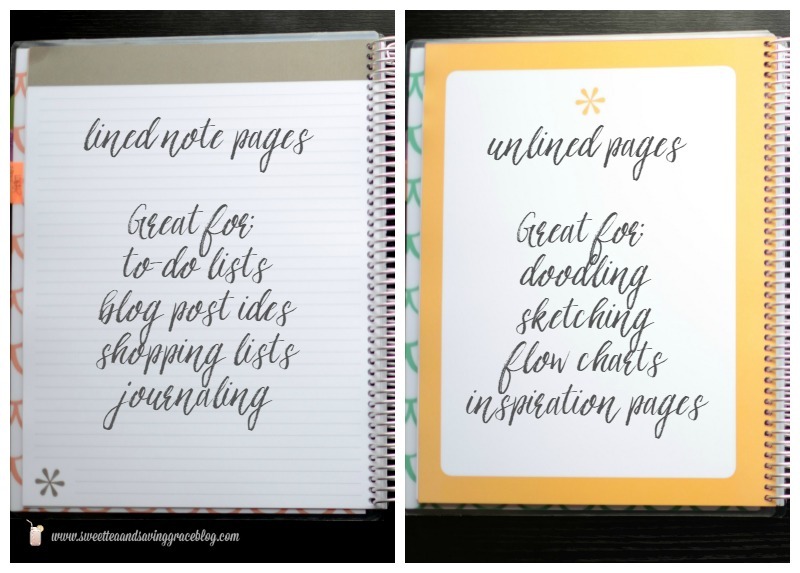 On the back of each monthly spread is a lined notebook page for notes and to-dos. I love this! 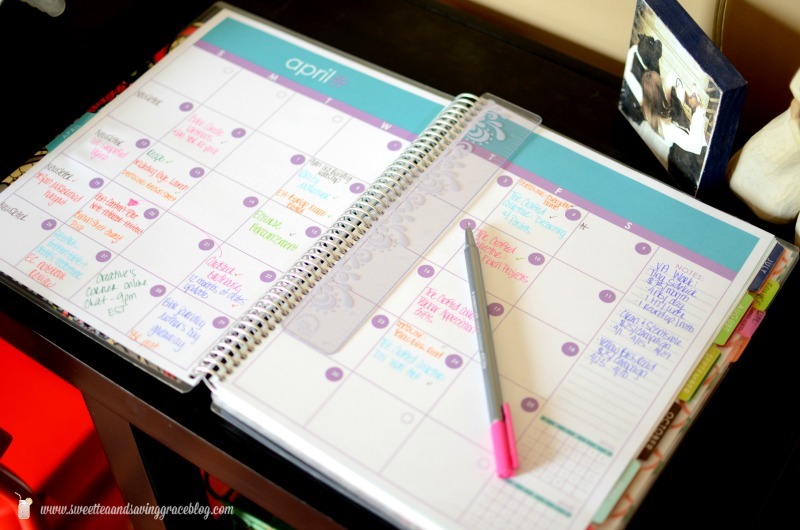 I can write my blog posts in the calendar, then flip the page and write my monthly to-do list for each post. 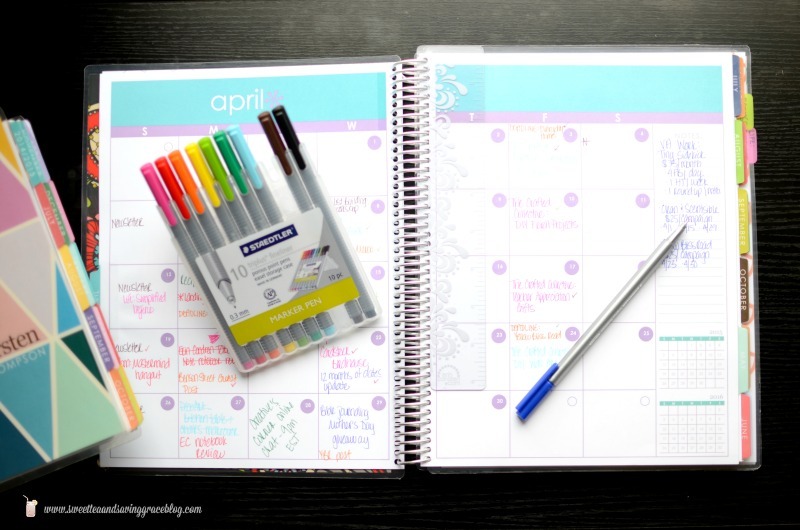 By opting for the calendar, that also means my Deluxe Notebook came with laminated colorful tabs, just like the ones in my Life Planner. 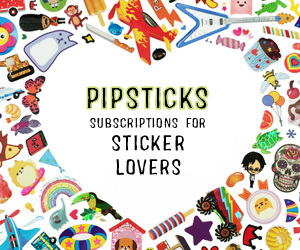 The monthly calendar option also comes with 12 months of date stickers. 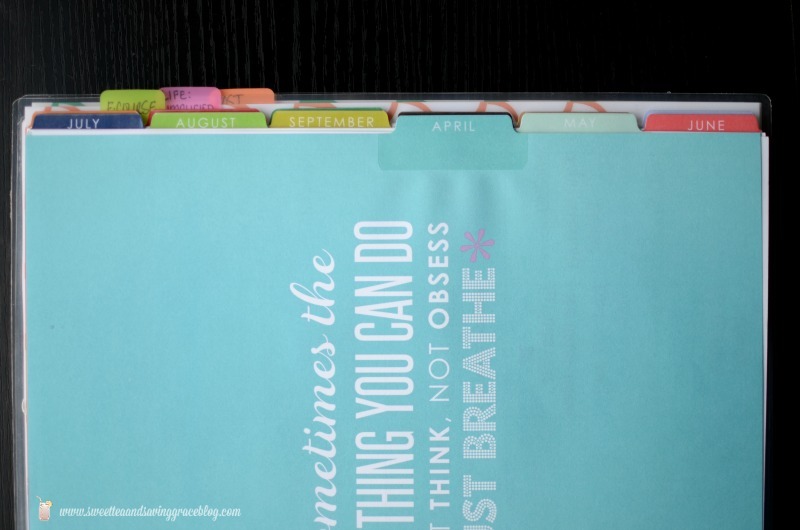 The calendar pages are not numbered, so you just stick on the date stickers for each month and you’re good to go! 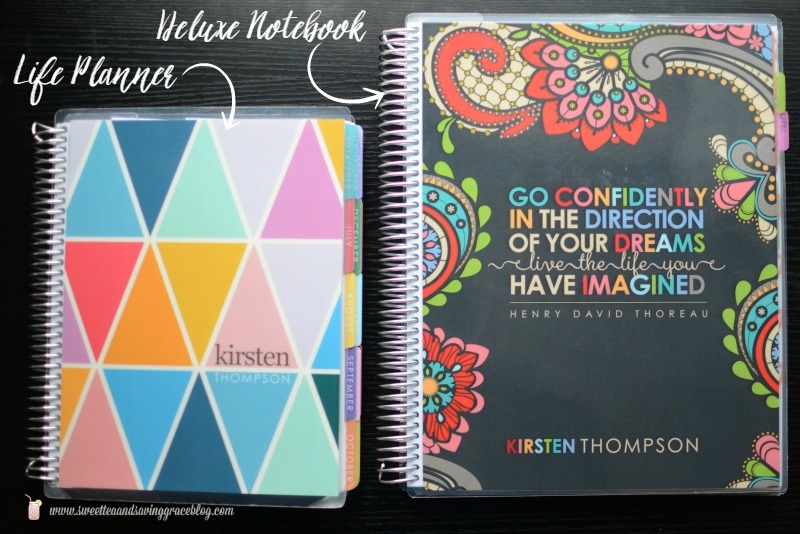 The Deluxe Notebook includes 132 lined pages, perfect for notes, to-do lists, and journaling, plus 21 blank pages, great for doodling and sketching. 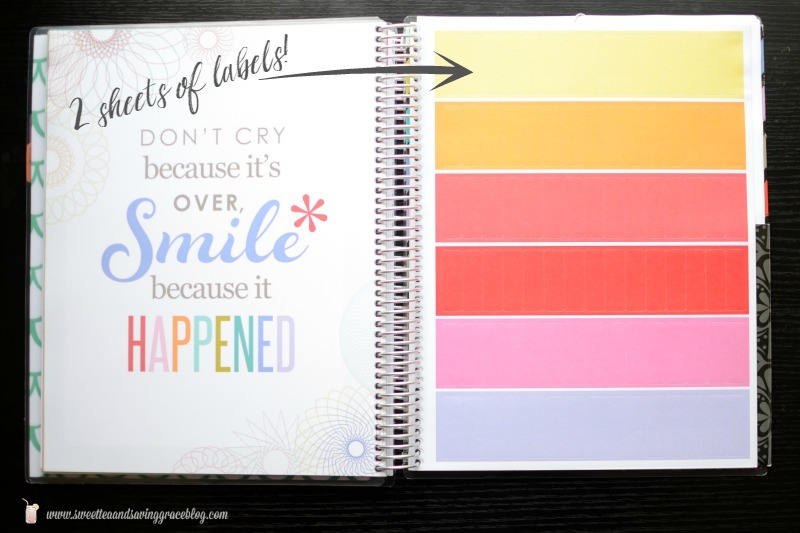 And those lovely labels in my Life Planner? The Deluxe Notebook has two full pages of them! There is also a big two-sided folder in the back, plus a zip pocket, and matching custom labels! While I was putting my Deluxe Notebook order together, I also decided to add a couple of custom dividers. 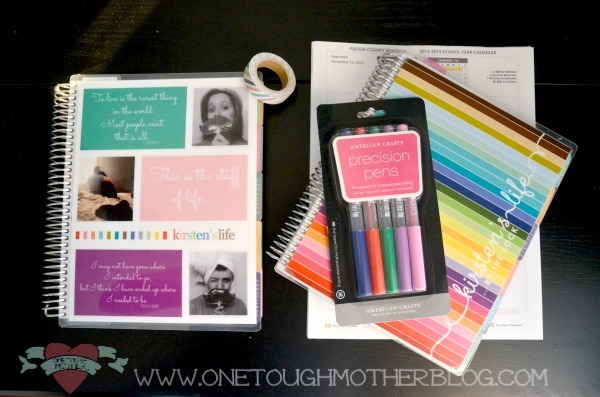 They just snap into the notebook wherever I want them, and I was able to customize the wording and the colors. 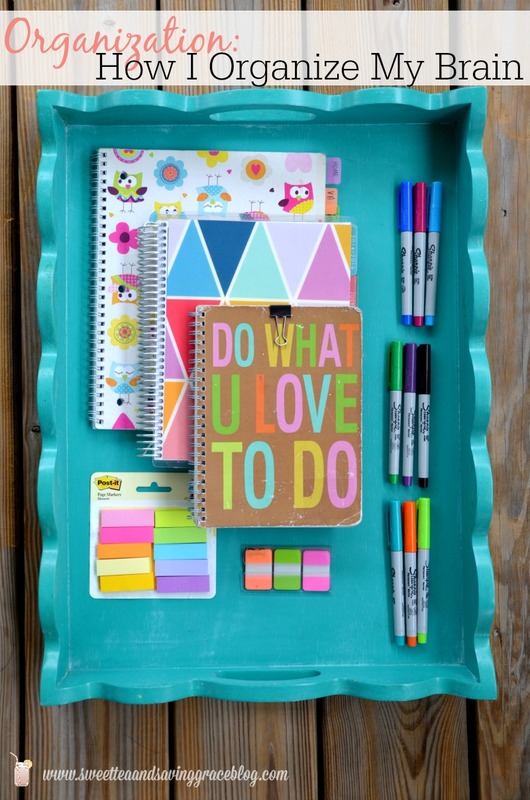 I can also use a wet-erase marker on the back for additional notetaking! I had been eye-balling these coil clips for a while, too, so I threw those in my cart. 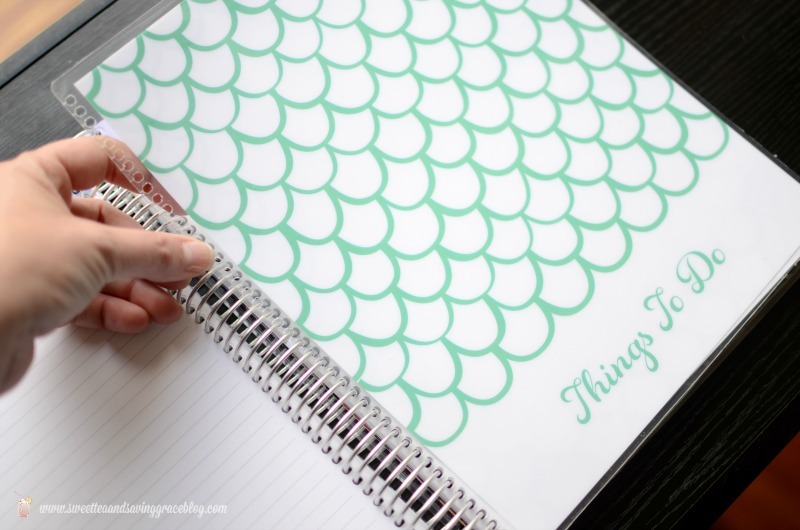 You just stick them onto anything you want to add to your Life Planner or Deluxe Notebook and snap it into the spiral binding. 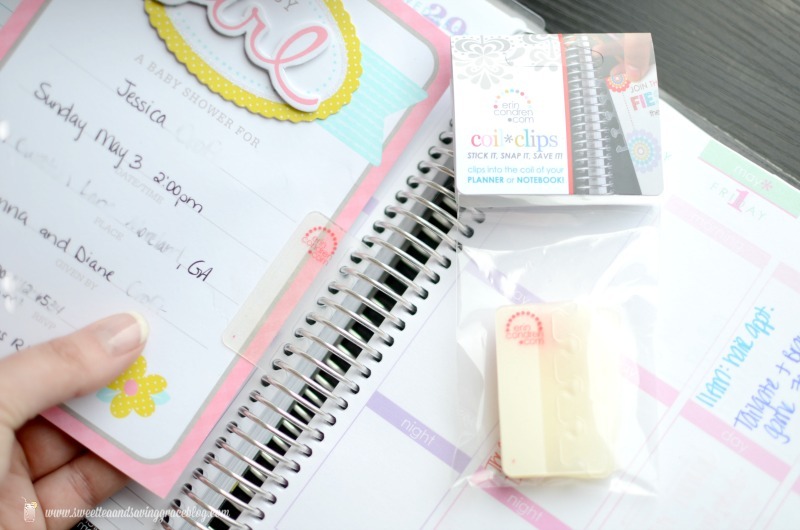 It was perfect for the baby shower invitation I recently received – in the planner it goes! I’m in love with my Deluxe Notebook, and it’s the perfect compliment to my Life Planner.